I’ve Been Served With A Civil Complaint, Now What? You’ve been named as a defendant in a civil case and have just been personally served with the summons and complaint. Now what? This blog seeks to give an overview of the chronological steps of the litigation process. Step 1: Consult a civil defense attorney. 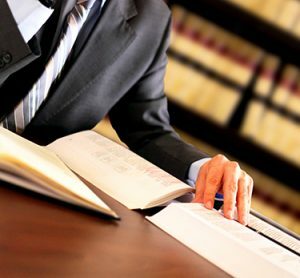 Depending on the type of case you have pending against you, a lawyer can be a resourceful tool in understanding the lawsuit, providing advice on how to handle each step of the litigation process and helping build a defense. While hiring a lawyer could cost a defendant a good deal of money, the benefit of legal counsel could hold a significant impact to the outcome of the case. If you choose to forego a lawyer, it will then be your responsibility to respond to each step of the lawsuit accordingly, acting as in pro per, as in your own attorney. Step 2: Prepare a response pleading to the Complaint. Typically, in California, there are three types of responsive pleadings a defendant can file in response to the Complaint. The first is an Answer. An Answer responds to the Complaint itself, and the defendant either admits or denies each of the causes of actions alleged. At this time, a defendant would want to raise any affirmative defenses, a claim made by the defendant, that defeats the claim made by a plaintiff for a specific reason, or raise any causes of action the defendant may have against the plaintiff or a third party by the filing of a Cross-Complaint, thereby initiating their own lawsuit. Rather than Answer a Complaint, a defendant also has the option to respond by filing a Demurrer or Motion to Strike and setting a hearing date to be heard on the issue. A Motion to Strike is a pleading document where a defendant asks a court to remove (strike) a portion of or the Complaint in its entirety on any number of grounds. A Demurrer on the other hand is an objection that attacks the Complaint for it is irrelevant, invalid or fails to state facts sufficient to constitute a cause of action without addressing the facts alleged themselves. For Motion to Strike or Demurrers there is a hearing held in which the court determines the strength of the legal argument for granting or sustaining the responsive pleading. If a court finds in favor of the defendant, a plaintiff may have been given the possibility of leave to amend. If a court finds in favor of the plaintiff, the lawsuit continues as is, and the defendant would then be required to file an Answer. Keep in mind regardless of the responsive pleading you choose, there are only 30 days to respond to the Complaint starting from the date you received service of the Complaint. Failure to respond timely could result in a default judgment. Step 3: Discovery and Pre-Trial Preparation. Throughout the litigation process the court will set a series of hearings and deadlines leading up to trial. It is also during the time between the filing of the responsive pleading and the date of trial that the bulk of the investigation into the lawsuit is conducted by discovery. Discovery is the exchange of documents and information regarding the allegations and facts and evidence that support such claims. Discovery is conducted by written requests such as requests for admissions or interrogatories, production of documents or Depositions. The discovery phase also gives each party to locate witnesses and build their case. If an expert witness is needed for your specific lawsuit, the attorney will work on obtaining one. This time is also used to file motions with the court to exclude certain evidence from being admitted at trial. In California, the discovery cut off is 30 days before the start of trial. Step 4: Preparation of Trial Documents. Discovery cut off has passed, now it is time to build your case for trial, which is best accomplished by the creation of trial documents. While the rules regarding trial documents may differ based on the judge and court location, the general basis for trial documents is that a party puts together a list of the exhibits they plan to use at trial, the witnesses they plan to call, instructions for the jury and a statement f the case to be read to the jury. Many judges require joint trial documents to be filed with the court in advance of trial. In preparation of such, your attorney will need to work with opposing counsel to create joint trial documents and binders of these documents and exhibits for the trial to be given to each side, the court and witnesses. Step 5: Mandatory Settlement Conference. In the weeks before trial, either a mandatory settlement conference or a final status conference will be set with the court. This is a last attempt at settlement, or if settlement is futile, an effort to resolve certain issues prior to the start of trial. It is possible that a settlement is reached between the parties during this hearing, or there is the exchange of trial documents and binders if the exchange with opposing counsel had not already been completed. Step 6: Voir Dire for Jury Trials. The first day of trial begins with the voir dire, or the selection of the jury. A jury panel in California is comprised of 12 individuals and 1 or 2 alternates. It will be the jury’s duty to evaluate the facts of the case and reach a verdict. I hope your attorney chooses wisely! Step 7: Trial. You finally made it to trial! Litigation can be a long and drawn out process but your day in court has arrived. It is up to the attorney to present your case in chief, calling all witnesses and presenting any evidence to the court so that the strength of your arguments can be evaluated. As the defendant you will wait until the plaintiff has presented all of their evidence before getting to present your case. After the completion of trial a verdict will be reached. Options following the completion of trial will be dependent on numerous factors some of which depend on the outcome of the case. Any questions you have with regard to next steps should be addressed with your attorney following the end of trial. And there you have it, you have successfully walked through the litigation process, and are now better informed on what to do in a situation where you are served with a civil complaint. As a reminder, a good civil defense lawyer should not only assert the appropriate defenses on and in your behalf, but also hold the plaintiff to its burden of proof utilizing tools from the code of civil procedure and the evidence code in defending against underhanded tactics and untrustworthy and irrelevant evidence that may otherwise reach the judge or jury in determining liability and damages against you. In other words, a good civil defense lawyer not only defends their client, but makes sure that the plaintiff proves his/her case accordingly even before any defenses are asserted. However, as always, a good offense is the sometimes the best defense.